Invite employees and clients in a different kind of setting. Are you looking for a different kind of setting for a meeting with your employees? A place to provide them with training or a lecture? Would you like to mix business with pleasure? Or maybe you would like to invite some of your best clients to an out-of-the-ordinary activity? 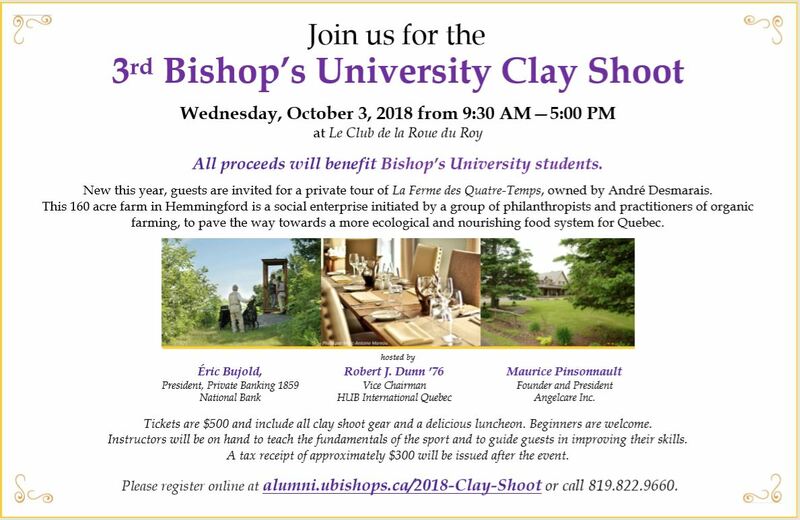 Whether or not you are a member, the Club de la Roue du Roy proposes unique possibilities right in the heart of the Montérégie area, just a 45-minutes drive form Montréal. Hold your meeting or conference in our modern, well-equipped meeting room. Test your guests’ abilities at clay pigeon shooting, with instructors to teach them the basics. Try our shooting simulator, the only one of its kind in Canada. Share a delicious meal in the dining room or on the terrace of our fine cuisine restaurant, La Bartavelle. Offer them a Roue du Roy: your day starts off with a shooting exercise with instructors, followed by a good meal and, finally, a hunting activity.